By the 1988 Olympics, Shushunova hit full stride. She scored three perfect 10s in the optionals, and won the all-around gold. She also earned a silver on the balance beam, bronze on the uneven bars, and a team gold medal with her Soviet teammates. Shushunova will forever be known as one of the most explosive, dynamic and original performers in the history of gymnastics. 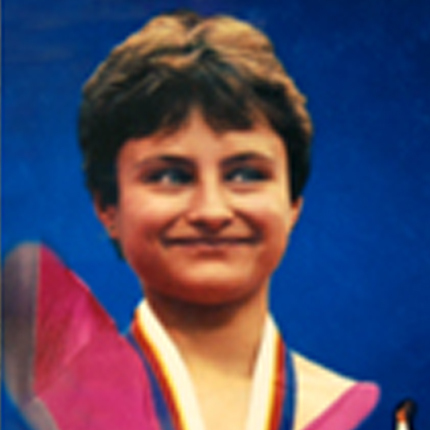 At 14 years of age, at her first world championships, the 1985 Worlds in Montreal, Yelena Shushunova, along with her teammate, Oksana Omeliantchik—both last minute substitutes into the lineup of the all-around competition—found themselves in one of the most compelling all-around battles in gymnastics history. 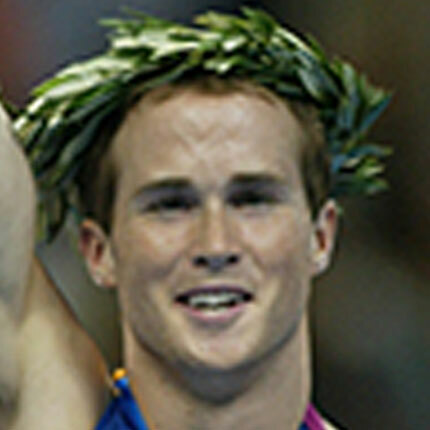 The two diminutive Soviet gymnasts battled neck and neck through four events and ended up tying to become co-world champions in the all-around. Shushunova, acclaimed for her originality, impeccable technique, and explosive power, pioneered many complex skills—some that are rarely performed, even now, nearly twenty years later. By the end of her productive career, Shushunova won eleven world championships medals (five gold), and four Olympic medals, two of them gold. She will forever be known as one of the most explosive, dynamic and original performers in the history of gymnastics.